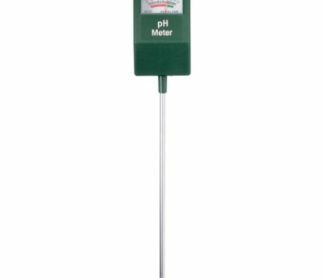 Do you have the correct pH? Good soil contains about equal parts of mineral matter in the form of sand, clay and organic matter in the form of humus. Even a soil which is structurally well balanced may be too acidic or too alkaline. An extreme either way will inhibit plants from absorbing all the essential nutrients which they need for successful growth. 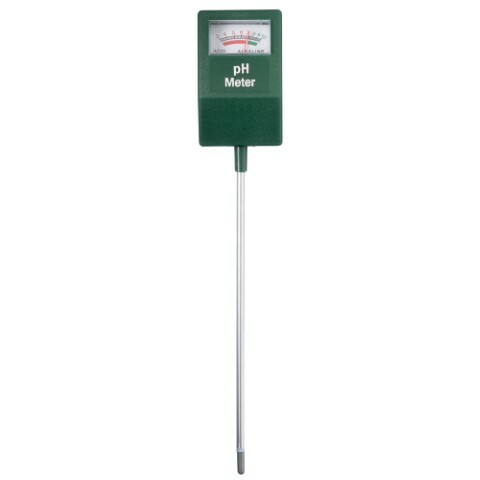 The acidity or alkalinity of soils is measured on a pH (potential of Hydrogen) scale. A pH of 7 is neutral. Any reading below 7 is acid and above 7 is alkaline. 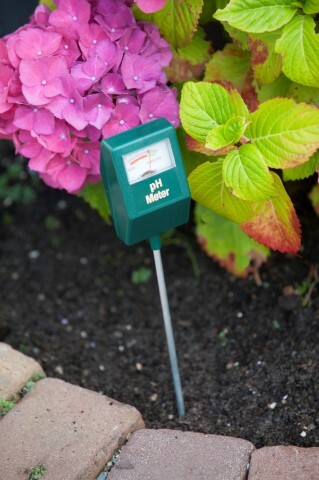 The pH range for good plant growth on most soils is between 5.5 and 7.0 with 6.0 being ideal for most plants. Few plants require alkaline soil above a pH of 7.5 and most plants grow poorly in soils which are overly acid below a pH of 5.0. 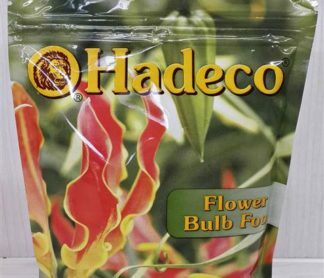 At high (alkaline) pH ther may be a shortage of manganese, boron, phosphorous and calcium. 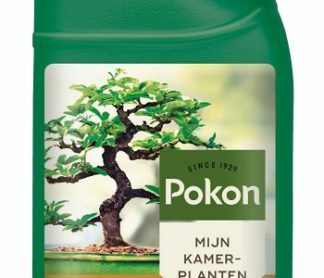 At low (acid) pH there may be a shortage of phosphorous and iron and a toxicity of manganese. Leave the probe in the soil for 1 minute before taking a reading. Take the average of several readings from different spots as moisture content and manure pockets may affect the reading. No accurate reading can be obtained from dry, or freshly manured soil. Clean the probe with a damp cloth after use. Work this into the soil and allow a few weeks to pass before taking a reading. Liming usually remains effective for 4 to 5 years. 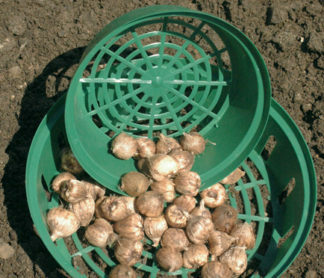 Apply aluminium sulphate, finely powdered sulphur or specific fertilisers which increase acidity such as ammonium sulphate or ammonium nitrate. Work this into the soil and allow a few weeks to pass before taking a reading. Mulches, especially of pine needles, bark or peat will also lower the pH of the soil over time. 5.0-5.5: Azalea, Camellia, Conifer, Erica, Fern, Iris, Magnolia, Oak, Parsley, Potato, Radish, Rhododendron, Strawberry, Sweet Potato, Tomato. 5.5-6.0: Aster, Bean, Begonia, Brussel Sprout, Canna, Carrot, Cucumber, Larkspur, Petunia, Primrose, Pumpkin, Rhubarb, Squash, Violet, Watermelon. 6.0-6.5: All Bulbs, Broccoli, Cabbage, Cauliflower, Iceland Poppy, Maize, Pansy, Rose, Snapdragon, Viola, Zinnia. 6.5-7.0: Asparagus, Carnation, Celery, Chrysanthemum, Dahlia, Lettuce, Pea, Spinach, Sweet Pea. 7.0-8.0: Barley, Rye, Vines, Wheat. Wipe probe clean after use and store dry.